Five Easy Steps to Create Your New Base! You've embraced your destiny. You've met other Heroes and have joined forces to rid Paragon City of crime. Together, you spend you're days battling d powerful enemies and risking life and limb in the name of justice. Or maybe you just want a place to plot the destruction of all that is good and just with your villainous allies. Either way, you need a place to hang your capes. It's time you built yourself a Base. Building a Base has many advantages in addition to being a cool place for your Supergroup to get together. You can add teleport stations to help you get around easily from zone to zone, hospitals so you can mend up after a particularly vicious fight, and workshops where you can share things like Enhancements and Inspirations or turn salvage into new inventions. The guide 5 Easy Steps to Create Your New Base! will quickly get you started as you create the Base of your dreams. Then, as you add rooms and equipment, be sure to check out the other guides for additional information. 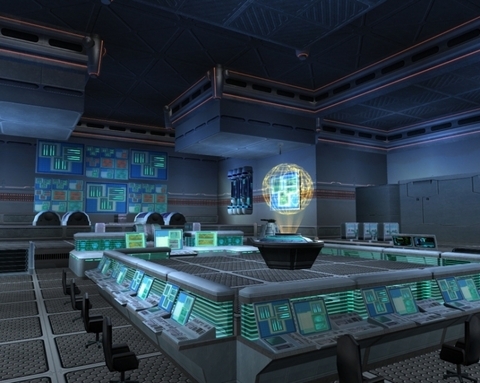 Once your Base is complete, you can use it for a variety of purposes, including taking part in Base Raids, a unique PvP challenge only available to Supergroups that have Bases that have been equipped for battle. So hang your Supergroup banner with pride on the walls of your new Base. With a headquarters where you can grab the best Inspirations, update to the latest Enhancements, and buff up at your Empowerment Station, you can head off to battle confident that you shall be victorious no matter what plans your vile enemies might have in store.